As a food blogger I enjoy the privilege of reviewing different cuisines for free. 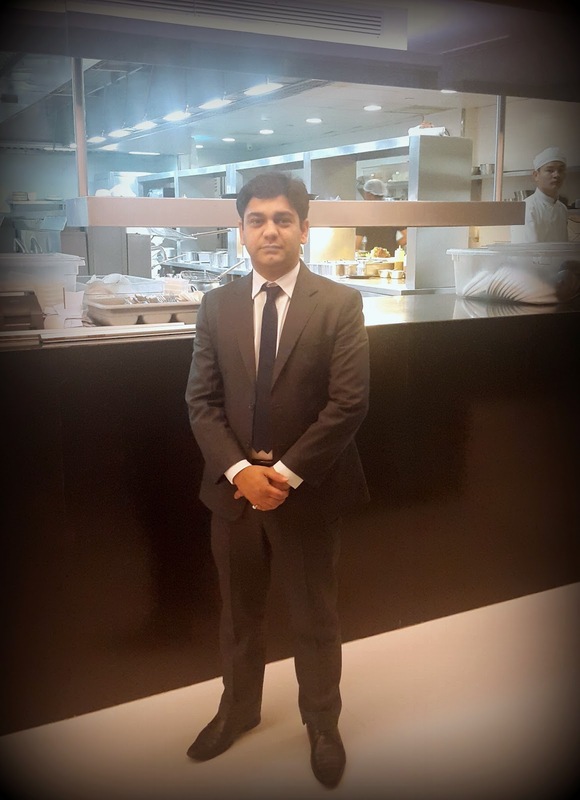 I also get to meet new, interesting people from all walks of life, including the F&B industry, which is exciting to say the least. Today was one such day. Not only did I get a chance to know an award-winning food brand up close and personal but also taste their new offerings for summer. 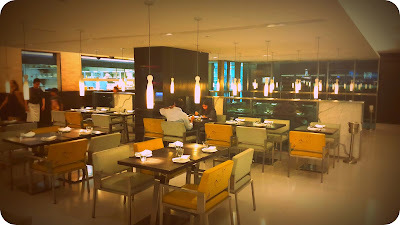 A friend of mine recommended that I go check out an international, upscale Chinese restaurant called Yauatcha in the heart of the city. The brand is known for its popular dimsums and teas but for me the star of the show was the newly introduced Dessert Special Menu. Make your summer sweeter with Yauatcha's new range of chef's special desserts like the eggless Mango and Gianduja Chocolate Mousse Cake, Mango Mousse and Parfait, Kashmiri Kahwa Marquise, Blueberry and Pistachio Bar, sugar free Chocolate Mandarian Mille Feuille, and sugar free Tiramisu. Even though Yauatcha debuted in Mumbai around 2011, it was only until the last year that the Delhi outlet swung into action. Essentially the brainchild of Alan Yau, former Michelin restaurateur, this chain has outlets in metros like Kolkata and Bangalore as well. 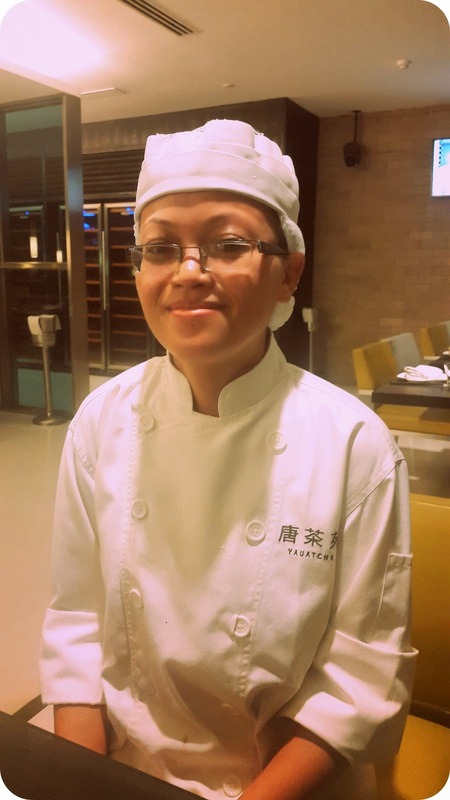 At the restaurant, I was fortunate to meet and spend some time with the immensely talented chef Regina, who hails from Meghalaya. 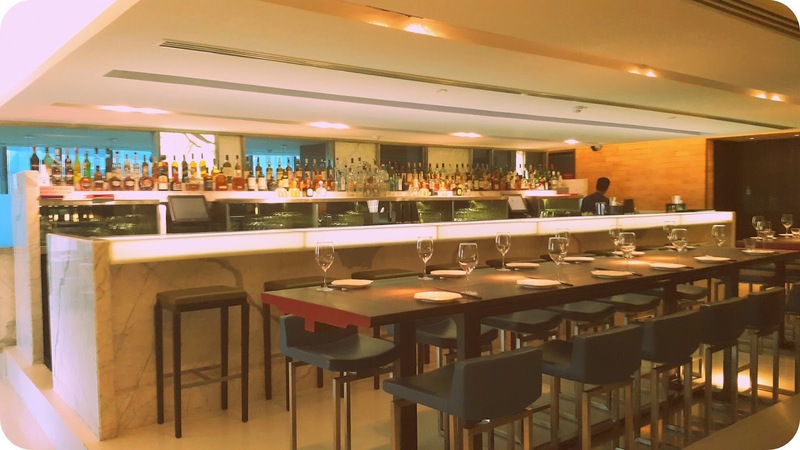 Regina walked us through the new Dessert Special Menu within no time and even had a few tips up her sleeves on touring Meghalaya. 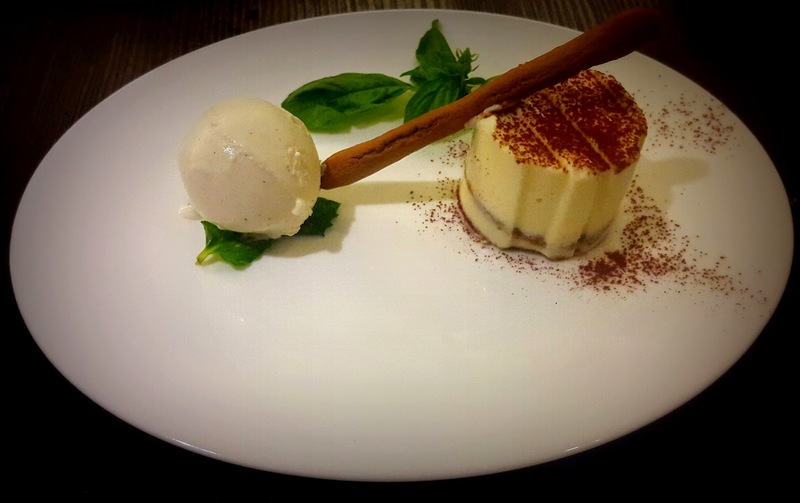 Her favorite dessert seems to be the sugar free Yauatcha Tiramisu, which is made of Espresso sponge and served with vanilla rum ice cream. For Regina, the Dessert Special Menu is unique because it is "strictly homemade". The Mango Pie comprises tart and mango sorbet. 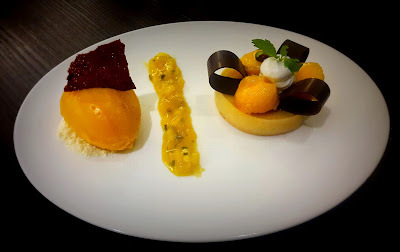 Tart is made of flour, eggs, mango puree, and honey, while mango sorbet is made of eggs, mango puree, fresh mango pulp, and white chocolate. 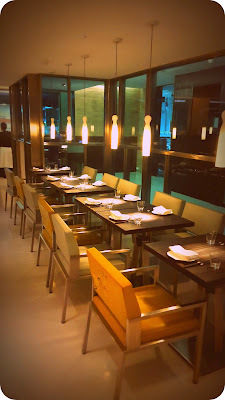 Recommendation: Go for the mango sorbet; an absolute must-have! 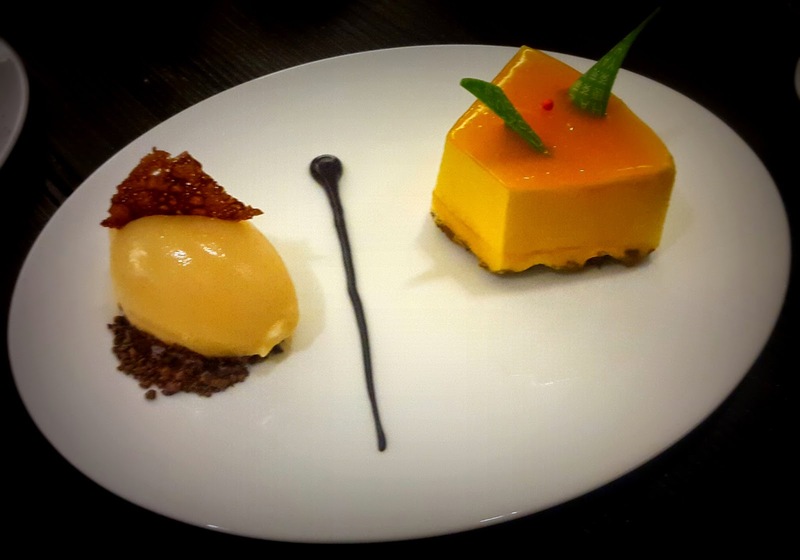 The Mango Mousse and Parfait is served with gianduja ice cream. The former is made of mango puree, eggs, whipped cream, gelatin, sugar, and water, while the latter is made of milk, cream, and vanilla beans. Recommendation: My personal favorite! This one is a complete package. You simply cannot afford to miss the gianduja ice cream that will melt in your mouth, while leaving you asking for more. 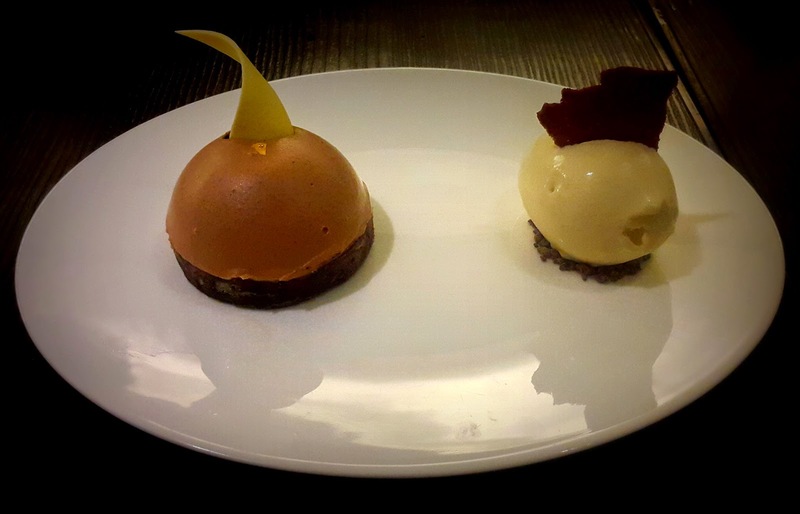 Kashmiri Kahwa Marquise comprises tart and caramelized honey ice cream. Tart is made of panna cotta, while mousse is made of raspberry insert, caramel chocolate, and silverleaf. Recommendation: Didn't go down well with me! You need to have a special liking for Kahwa to enjoy this dessert. Chocolate and Mandarin Mille Feuille comprises tart and vanilla rum ice cream. Tart is made of puff dough and mousse almond cream - with oranges as topping. Recommendation: This dessert has a lot going for it but I particularly liked that it is sugar free and served with fruits like oranges. Blueberry and Pistachio Bar is served with lemon yoghurt sorbet. 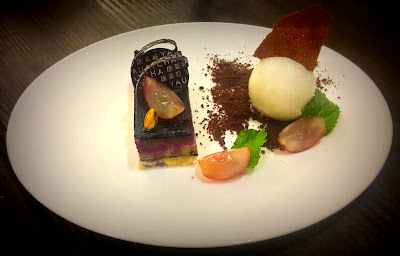 It is made of almond sponge, blueberry puree, pistachios, cheese, and California cream. Recommendation: If you haven't tasted the lemon yoghurt sorbet, you haven't tasted anything yet. No kidding! Passion Fruit Mousse Cake is served with mandarin sorbet. 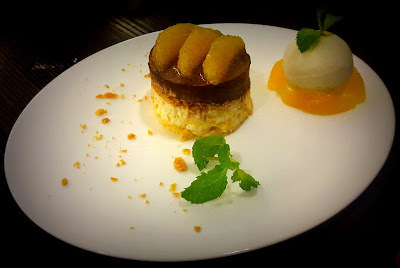 It is made of creme brulee, pearl, and cold gel puree. Recommendation: Apart from its stunning visual appeal, the Passion Fruit Mousse Cake will delight you with its out of this world aroma and taste. 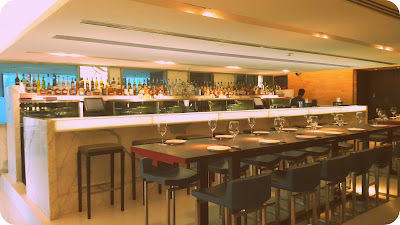 Each dessert is reasonably priced at INR 350 plus taxes. While leaving the restaurant, I couldn't help but thank the General Manager, Manoj Bhatia, for his splendid hospitality. I so look forward to coming here again with family and friends.